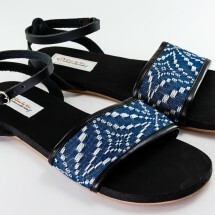 This sandal is perfect for summer and can go from day to night with ease. Each pair of shoes is unique and not one pair is like the other! 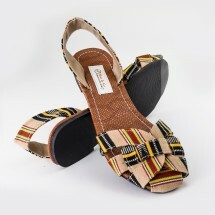 These are made with an extra thick sole, adjustable strap and soft back for maximum comfort. 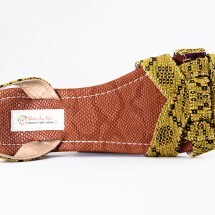 By purchasing theses shoes, you are helping to reduce land-fill, supporting indigenous tribes and their weaving practices and supporting fair trade for all parties involved in the making of these unique shoes. 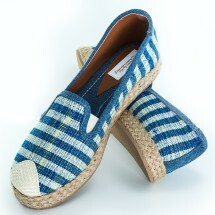 $5 from the sale of each pair of shoes goes to our friends at HUHANZ (a no kill animal shelter in NZ). 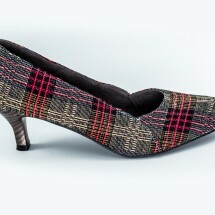 This shoe fits most foot types as the fabric stretches to suit the foot width. There is no need to go up a size in this shoe, but if you are a half size go up instead of down. Lovely shoes, they get compliments every time I wear them. The material has a sparkle to it and they have a brilliant hook that closes the shoes, so you don't have to unbuckle them each time. All of our packaging is made from recycled materials and discarded materials. All of the packaging can be recycled. Supporting fair trade with small family run businesses. Made by hand, only 12 pairs made of this particular shoe. The yellow fabric from this shoe comes from a discarded table mat. No animal products used at all in any of our shoes or any product in our entire store.